After throwing back some Midol and curling up with the heating pad, I turned to the trusty tele to find some comfort. It was actually Mr. Critic who selected these movies from Netflix, probably from my prompts of wanting to see more “girl movies”. Let me confess one thing before I get started. I’m the kind of girl who is clueless about movies. I don’t really care for previews nor do I follow what is new or the creation of films. And it’s because Mr. Critic is 100% competent in this area. I often turn to him like a confused senior and ask “honey have we seen that yet?” (read “honey, I can’t remember a damn thing about any film ever, did I watch this movie, and also, where did I park the car?”) Rest assured reader, I am writing this just after seeing both films so my memory banks for these two haven’t dumped yet. Thank God I’m still young! The first movie was Another Earth. In my naïve way I asked Mr. Critic what movie he picked and what it’s about. He told me it’s about what it would be like if there was a mirrored earth. “Don’t worry, it’s not a sci-fi,” he assured. What followed was a film totally unexpected. The story unfolds in a quiet, surreal manner, with a patient and subtle suspense that urges you to continue to watch. The tragedy unfolds when a promising teen makes a mistake so large, it sends her to prison. And that is just the first few minutes of the movie. It later continues with her release to the public that coincides with the contact of another earth. 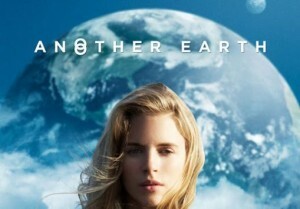 Another Earth is presented as symbol of redemption for the lead character, while others are uneasy with the idea that their lives are a mirrored on this newly found sister planet. I’m not going to tell you much more in fear that I give away the entire plot, however I will share that in my vulnerable state, I cried like a baby. The movie is seductive with its haunting views of another Earth in the sky. Something so beautiful and familiar (since it looks just like our Earth) yet entirely out of place when viewed next to the moon in the skyscape. It’s the simple shots and quiet moments of this film that make it so attractive. Not everything is explained in this film, which adds to the mystery and intrigue. Next we watched The Help. I had read the book previously and had bawled my eyes out on the pages of this story already. Apparently I had many tears to spare because this did not make me immune to another ugly cry, or maybe I should say a series of ugly cries. This tale of racism in Mississippi stayed true to its book roots with its main focus of triumph of adversity. 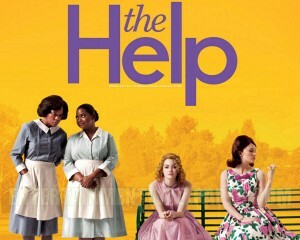 Unlike Another Earth, The Help uses humor and easily accessible and familiar characters to unfold a complex plot. This is a Steel Magnolias type of movie of feel-good sisterhood and courage juxtaposed with uptight southern bells—the ultimate super villains. The connection to the characters is somewhat lacking only because of the shear volume and lack of inner monologue that a book is better at uncovering. However, the movie did a good job of uncovering racism without being preachy or political. So if you’re in need of an escape to another world, try one of these movies, just make sure to pack your tissues for the emotional journey ahead. I saw both of these movies and I agree – good movies. Amazing scene with a guy playing a saw in ‘Another Earth’ – how many movies have that?! This scene is on the composer’s website http://www.scottmunsonmusic.com/news/music-in-film-another-earth-soundtrack if you want to see/hear it again.